I plan to hang a mirror weighing 50lb on the wall. What type of anchors should I use? I think my wall is plaster over drywall, but I'm not sure. The house was built in the US in 1952, and the surface is very hard. When attempting to hammer in a nail to hang a small photo frame, I gave up after only chipping the surface and bending the nail. There's a small panel in the wall, and the photo below taken from inside the wall shows there's two layers, one light grey on the inside of the wall (drywall?) and one dark grey on the outside (plaster?). Should I use masonry drill bit to insert a toggle bolt, or find a stud and drill into that, or something else? It seems the options are mutually exclusive if I hit a stud or not, so is a stud finder required for this work? While there are plenty of fasteners that claim to be rated for "x" lbs., if you can mount using screws into studs that is generally the best thing to do. Screws into studs can typically hold hundreds of lbs., like kitchen cabinets full of dishes. Studs are usually 16" apart in 20th century US housing. So once you find one stud you can usually find another easily. Drill a pilot hole where you think you have a stud and if you "break through" after ~ 1" then keep searching. Not the answer you're looking for? Browse other questions tagged drywall plaster hanging lath-and-plaster or ask your own question. 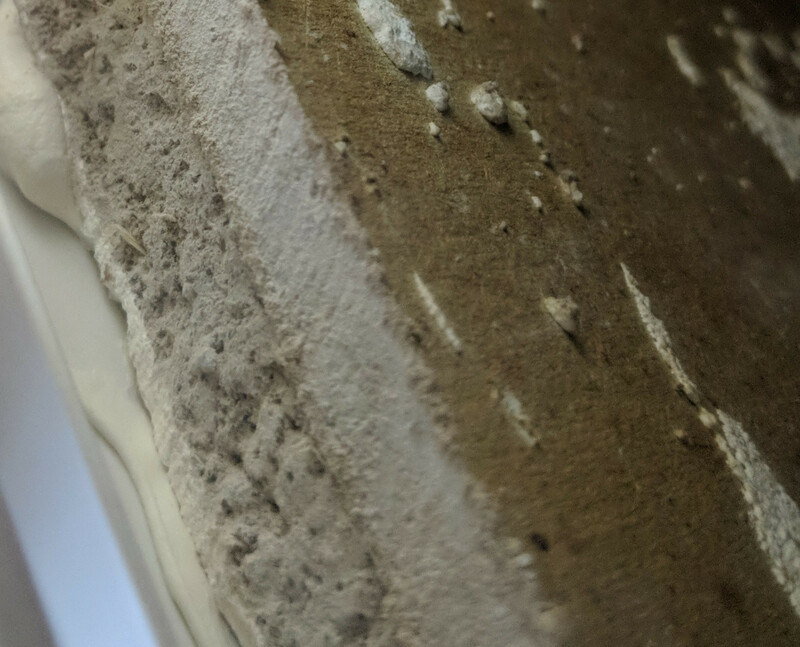 How can I tell if I have rock or wood lath plaster, and is there a difference when repairing cracks and peeling/flaking? How can I figure out what material my row home's interior and party walls are made out of? What is this closet made out of and how to mount to the walls? How do I install floating shelves on drywall using a drill?